Does My Auto Insurance Policy Cover Damage Caused by Potholes? We all have been there: you’re driving down the road on your way home from work and suddenly you hear a big “kerplunk” under your wheel. You didn’t see the huge pothole in the middle of your lane, and now it’s too late. Is there damage to your car? Will your insurance cover it? The answer is: maybe. Potholes can cause damage not only to your tires and rims, but to your suspension. 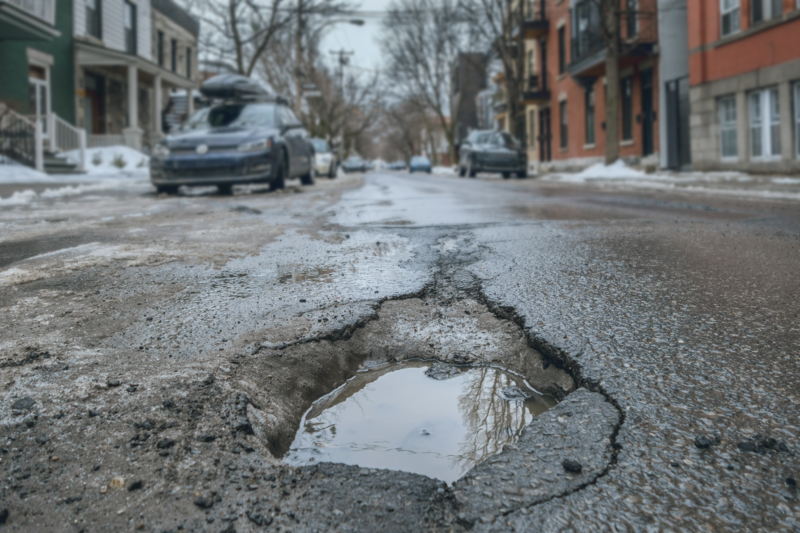 The good news is that with a Personal Auto insurance policy from Western National, some of the major damage to your vehicle caused by potholes may be covered—but only if you have collision coverage on your policy. While coverage does not exist for damage to your tire if it is caused by the road’s surface (i.e. potholes, buckled pavement, etc. ), there is, however, coverage* for the resulting damage to your rims, suspension components, and steering alignment. Properly inflated tires with adequate tread depth stand up better to road hazards such as potholes. You can find the correct air pressure for your specific tires either in your vehicle’s owner’s manual or on the tire itself. If running over a pothole is inevitable, slow down, release the brakes, and straighten your wheels before making contact. If you drive over a pothole and have reason to believe that something was damaged, pull over to a safe location to assess the situation. If the tire is damaged, change to the spare. It is not safe to drive on damaged tires. For more specific information about your coverage, contact your Independent Insurance Agent today. *All repair costs are subject to the insured’s collision deductible.